"Very prompt, polite and professional. Would definitely use Queens Removals again." Queens Removals proudly offers house, flat and office removals in Cobham at low cost without compromising on service. Whether you're moving from a studio flat or a mansion, our experts will assess your requirements. We'll provide you with a free, no-obligation quotation. Queens Removals employ specialist removals men to take care of your piano, fine art and antiques. Cobham is a village in the Borough of Elmbridge in Surrey, England. It has a fabulous High Street with shops and restaurants, a significant number of primary and private schools and it's located next to the Painshill Landscape Park. 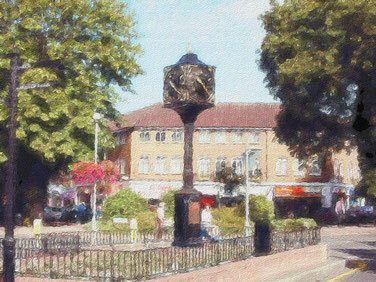 Queens Removals is based 15 minutes drive from Cobham and provide excellent services to the local community. These services include domestic and commercial removals, worldwide deliveries, storage and man and van services.